Mayor Cristy Angeles of Tarlac City bared Tuesday the “illegitimacy” of a news publication called, “Private I,” after it was found to be non-existent in its declared address. 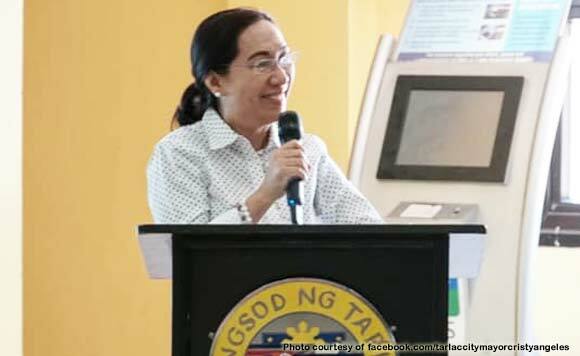 “Ating pong napag-alaman na ang address ng nasabing pahayagan ay walang katotohanan o peke,” Angeles wrote on her Facebook page as she disclosed the results of an initial investigation conducted on the publication. Citing a Feb. 14, 2019 certification by Barangay Captain Jose M. Salting, Jr. of Barangay Anupul in Bamban, Tarlac, Angeles said the publication is not registered in that barangay as claimed. “Nangangahulugan lamang na hindi ito isang lehitimong pahayagan,” Angeles said of ‘Private I’. Angeles had said then that the publication has no business permit, and that the names of the writers are fake.